2017 is the 150th birthday of Canada as a nation. 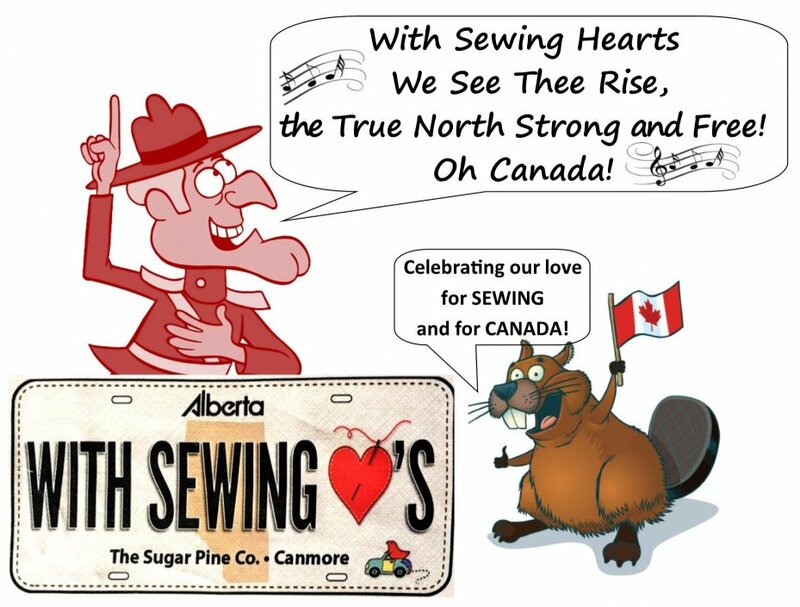 Here at the Sugar Pine we could not resist designing a one-of-a-kind memento to commemorate Canada's sesquicentennial, your visit to Canmore, and the Row by Row Experience. Your fabric plate can be incorporated into many different fabric projects, such as quilts, simple zip-up pouches, quilt labels, patches for jackets or bags, or where ever your imagination goes. FabricPlates are loosely designed to resemble the state/province license plates on your automobile. But the resemblance stops there. They are actually 7.25 inches x 3.5 inches and printed on washable, white, organic, 100% cotton sateen. Exclusive FabricPlates™ are available in shops around the country. Each one is unique! We have two designs currently available. You can collect these when you visit, or purchase them online on our website.